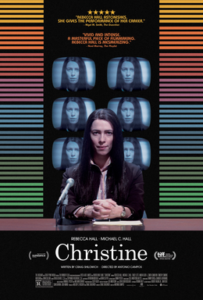 Christine is compelling drama starring Rebecca Hall and Michael C. Hall depicting the story of a woman dealing with a collision between a career crisis and a deteriorating personal life. Quick-witted and determined, Christine feels drawn toward bigger and better things. When her boss brings the possibility of a job promotion and transfer to his news crew, she is determined to do what it takes to be the one chosen. 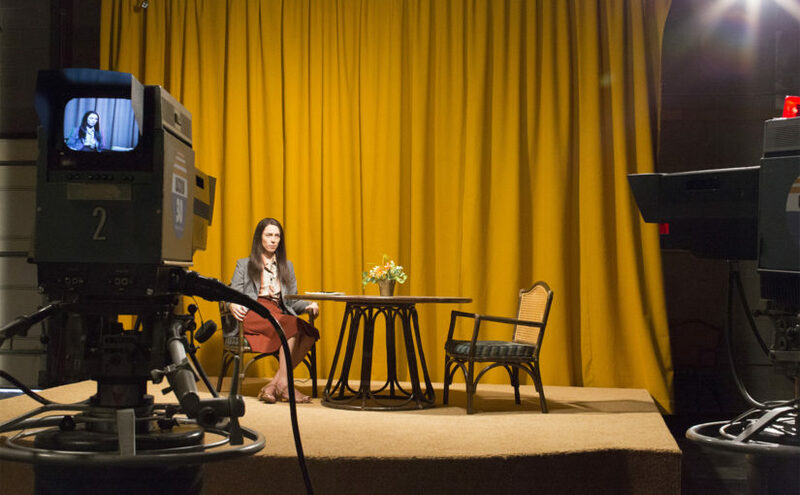 Rebecca Hall delivers the performance of her career as she tackles an equally gripping and gritty character study with the role of “Christine.” Her performance is stunning and equally beautiful. The character of Christine is delicate and could have easily fallen into a stereotypical tale of depression. However, in Hall’s capable hands, Christine came to life as an ambitious woman with a dry but smart wit who is prone to moments of self sabotage which she herself does not comprehend. The film takes us into the inner workings of a newsroom. Christine, by far the smartest person in the room at any given moment, struggles with making lasting human connections. She is hopelessly in love with her handsome costar George Ryan (Morgan C. Hall Dexter). While George is openly friendly, Christine seems unable to make a connection with him. Her co-worker Jean (Maria Dizzia) consistently attempts to make plans with Christine, but she rejects Jean’s offers. Instead, Christine volunteers at a home for disabled children, putting on puppet shows which portray life lessons which reflect the issues Christine is dealing with personally. When her boss Michael (Tracy Letts), worried about dropping ratings, sits down his crew and demands juicier, more sensationalized stories, Christine rebels. 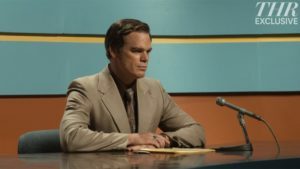 However, when the station owner comes to town to poach some local talent, Christine buys a police scanner in hopes of seeking out darker stories. Though she tries to impress, she falls short but doesn’t understand the reasons. Her mom acquires a steady boyfriend which sparks jealously. George seems to show an interest in her which increases her sexual frustration and desire for independence. All these events cultivate an air of spiraling depression, driving Christine further and further into herself. She seems unable to stop the outside world from caving in around her, and in the end, she can only control her own world. Much like Edna in Kate Chopin’s The Awakening, Christine’s fate—while tragic and heartbreaking—is almost poetic. Overall, I give the film 10/10 stars. Superb acting. Superb directing. One of the most brilliant character studies I have ever seen. Period.